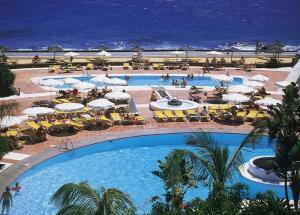 Address: Avenida Archipiélago 7, Playa Blanca (Lanzarote), Islas Canarias. Please note that the full amount of the reservation must be paid in upon check-in. Please note that Star Prestige rooms, pool area and executive lounge are for adults only. Guests in Star Prestige rooms have access to the exclusive adults-only Star Prestige area, which includes a chill-out zone with drinks and snacks, sun terrace with Balinese beds, and pool or hot tub.